Orange is not a color I stash much of, so I visited my local quilt shop to find just the right combination of fabrics. In the end I chose the butterfly print because Gerre had also mentioned Low Volume in the color category. I was concerned that a low volume fabric would show stains easily, but I liked that this print had a low(ish) volume background. I decided it would be a good option for the bust and ties of the apron. It took me about five hours to sew, not including cutting time. There was an optional ruffle for the bottom hem which I chose not to include. 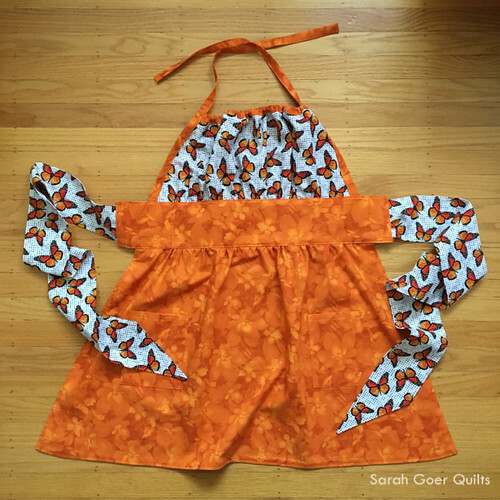 And the apron is reversible with two pockets on each side. The reverse side features Moda Grunge fabric... I need to use more of that. The party and gift exchange was today. I knew Gerre would like the apron, but it was fun to see her wear it for the rest of the party. Here she is! I received an iPad stand, which I'm excited to have for using while I'm cooking. And my daughter is thrilled that she can use it while she watched Cupcake Wars. ;-) She may have told my husband that the iPad stand was for her. We are into week two of the 31 Day Blog Writing Challenge. For me it could be called the 31 Day Late Night Blog Writing Challenge. ;-) Thanks for reading. 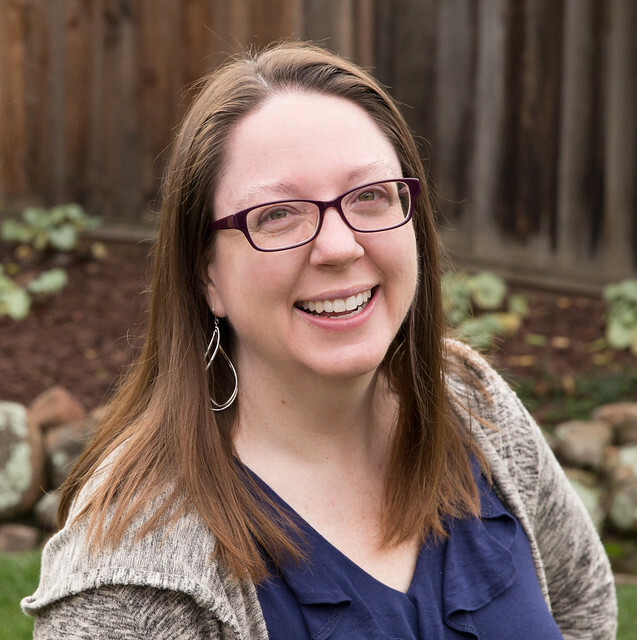 Check out others who are participating in the challenge by following the link to Cheryl's blog. Posted in Sewing. 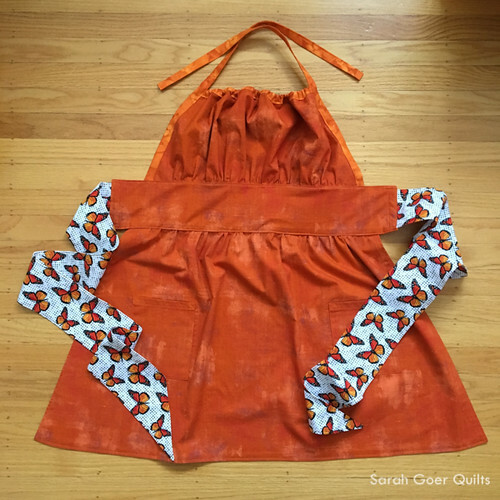 Tags: apron, Pretty Ditty apron on December 9, 2017 by sarah. What an awesome apron. And not because it's orange LOL Very nice that it's reversible. It looks like she loved it. Thank you, Anja. It is a lovely pattern. 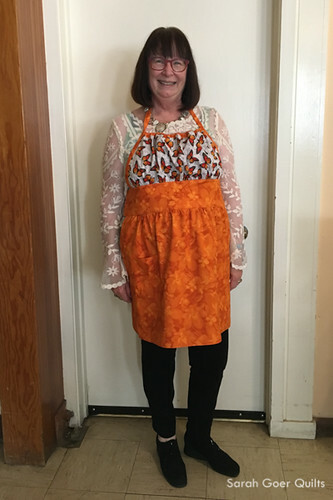 I love Gerre's smile as she is wearing her fabulous new apron! It is quite lovely! !